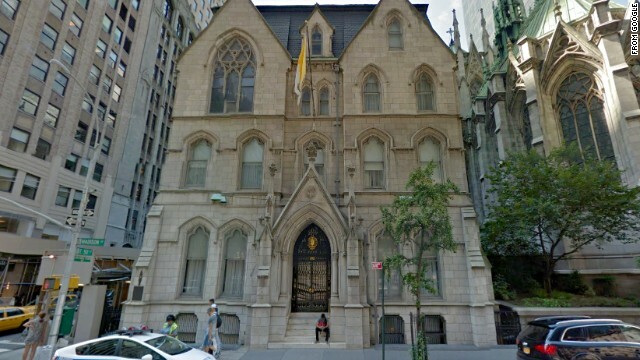 Cardinal Timothy Dolan of New York lives in this $30 million mansion. (CNN) - Clearly, “lifestyles of the rich and religious” doesn’t cut it for Pope Francis. He’s blasted “airport bishops” who spend more time jet-setting then tending to their flock. The Vatican fired one such “prince” last year: German Bishop Franz-Peter Tebartz-van Elst - aka, “The Bishop of Bling” - who spent $43 million to remodel his opulent pad. “God save us from a worldly Church with superficial spiritual and pastoral trappings!” Francis said in his book-length blueprint for the church. Say what you will, this Pope puts his preaching into practice. But are American archbishops following his example? (CNN) - A new movie genre debuts at the box office this weekend: the Christian comedy. "Moms’ Night Out" starring Patricia Heaton and Sean Astin is opening on more than 1,000 screens, and it aims to do something no other Christian major motion picture has endeavored to do: make you laugh. On purpose. There has been no shortage of laughably bad Christian movies. "Left Behind," anyone? From “The Passion of the Christ,” to “Fireproof,” to “Courageous,” the genre has historically leaned heavily on biblical epics and inspiration to stir the faithful, or evangelical fare designed convert the masses. But "Moms’ Night Out" is entirely different, a PG-rated comedy about the hijinks of middle-class Christian families, ordinary folks living ordinary lives. Astin called the movie "ballsy" for focusing on this demographic. Does God have a prayer in Hollywood? Like the infamous ark-maker, the 45-year-old director has weathered a Bible-sized storm – and it’s not over yet. Aronofsky’s epic, which stars Russell Crowe and boasts a $130 million budget (with marketing costs to match), rode a swelling wave of controversy into American theaters on Friday. Despite fierce criticism from some conservative Christians, "Noah" was the top box-office draw last weekend, raking in $44 million in the United States. Both of those films were showered with praise and awards. “Noah,” on the other hand, has sailed into a stiff headwind. (CNN) - Pope Francis: Successor to St. Peter ... the people's pontiff ... Marxist? That's what conservative radio talk show host Rush Limbaugh suggests, calling the Pope's latest document "pure Marxism." Limbaugh blasted the pontiff on Wednesday, a day after Francis released "Evangelii Gaudium" (The Joy of the Gospel), a 50,000-word statement that calls for church reform and castigates elements of modern capitalism. 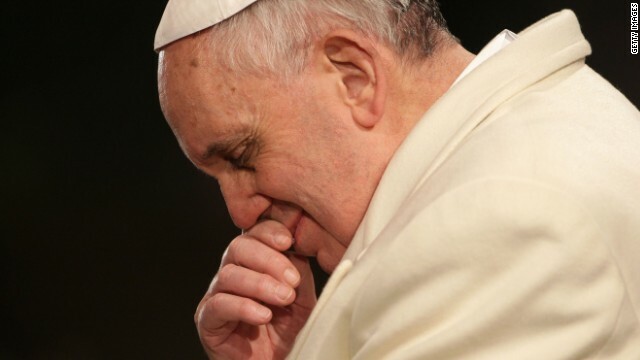 Limbaugh's segment, now online and entitled "It's Sad How Wrong Pope Francis Is (Unless It's a Deliberate Mistranslation By Leftists)," takes direct aim at the pope's economic views, calling them "dramatically, embarrassingly, puzzlingly wrong." The Vatican issued the English translation of "Evangelii," which is known officially as an apostolic exhortation and unofficially as a pep talk to the worlds 1.5 billion Catholics. Francis - the first pope ever to hail from Latin America, where he worked on behalf of the poor in his native Argentina - warned in "Evangelii" that the "idolatry of money" would lead to a "new tyranny." 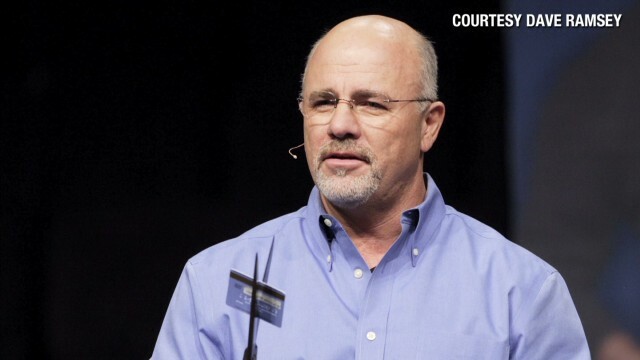 Financial advisor Dave Ramsey is also an evangelical Christian. (CNN)– Dave Ramsey is rich. And he makes his living telling other evangelical Christians how they can get rich, too. Host of a nationally syndicated radio program and author of multiple best-selling books, Ramsey targets evangelical Christians with what he calls a “biblical” approach to financial planning, one that focuses primarily on the elimination of consumer debt. His for-profit Financial Peace University is billed as “a biblically based curriculum that teaches people how to handle money God's ways." Much of what Ramsey teaches is sound, helpful advice, particularly for middle-class Americans struggling with mounting credit card bills. I have celebrated with friends as they’ve marked their first day of debt-free living, thanks in part to Dave Ramsey’s teachings and all those white envelopes of cash he urges his students to use instead of credit cards. But while Ramsey may be a fine source of information on how to eliminate debt, his views on poverty are neither informed nor biblical. Pope Francis at a ceremony in Rome, shortly his election as pontiff in March. ROME (CNN) - Pope Francis' crusade against corruption in the Catholic Church, including an overhaul of the scandal-scarred Vatican Bank, has put the new pontiff in the Italian mafia's crosshairs, according to two organized crime experts. "The strong will of Pope Francis, aiming to disrupt the gangrene power centers, puts him at risk. He disturbs the mafia very much," Nicola Gratteri, a top anti-mafia prosecutor in Italy, told CNN on Thursday. "I don't have precise information about a plan of the mafia against Pope Francis," Gratteri continued. "But if I did, I wouldn't say." (CNN) - The Vatican said Wednesday it has suspended a German bishop who has come under fire for his extravagant lifestyle. 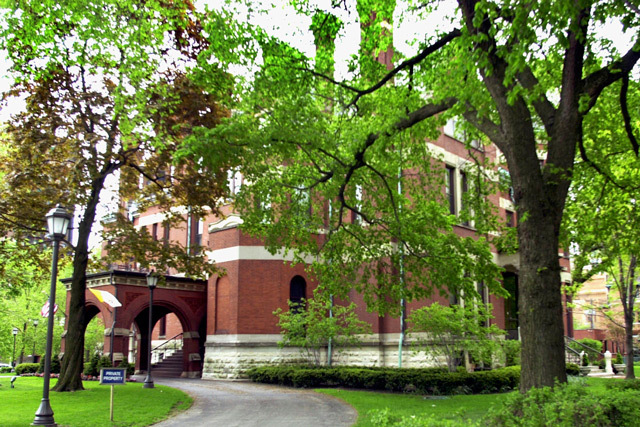 Bishop Franz-Peter Tebartz-Van Elst is under investigation for his spending after his residence in Limburg, Germany, was renovated for $42 million. The Vatican says Tebartz-Van Elst cannot carry out his ministry as long as the investigation in ongoing, and he's been ordered to stay outside his diocese. Coined the "Bling Bishop," Tebartz-Van Elst, who is known as theologically conservative, has denied any wrongdoing, saying the cost overruns on the renovation are legitimate because surrounding structures had to be protected, including the old city wall. The Vatican made a little error on its new medal made in honor of Pope Francis. (CNN) - For the love of "Lesus," the Vatican needs a copy editor - preferably an infallible one. 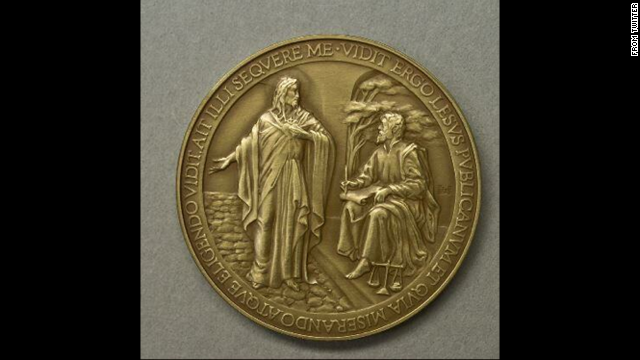 In honor of the first year of Pope Francis' papacy, the Vatican issued a commemorative medal Tuesday. The coin-size medals are sold in Vatican City and usually provide a steady stream of revenue for the church. Just one problem: The Vatican misspelled the name of Jesus on the medal. (CNN) - Money. Women. Fame. Church. In some ways, the combination of the prosperity gospel with the “Real Housewives” format is a match made in Oprah-produced heaven.